The typical vintage T-Bucket replica goes like this; off-the-shelf tube axle front end kit, bucket of fiberglass, Ford 9-inch rear end, TH350 slushbox, Chevy 350 small bloc---whoa...who put that Chebby part in my Ford? Thems' fightin' words. 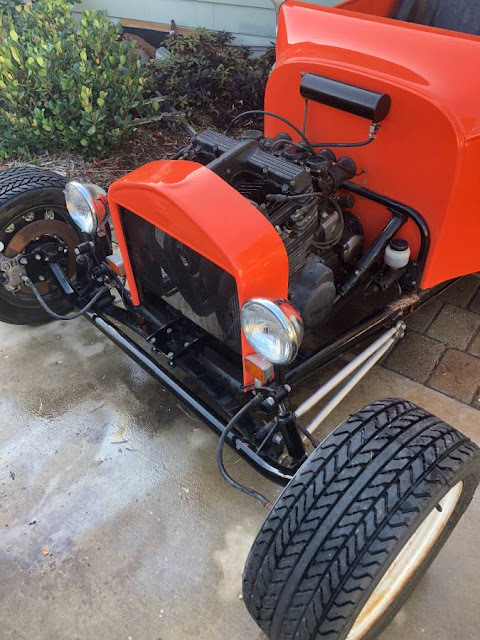 The only non Ford power I'll put in a T-Bucket is something from a long-time Ford partner...like Lincoln, Jaguar, or Yamaha. Yeah. A V-Twin from a chopper will do nicely. 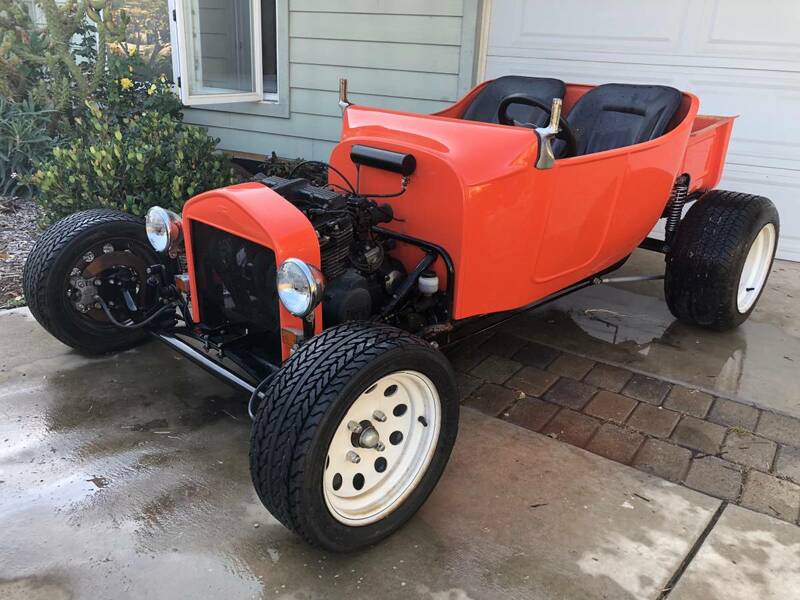 Find this 1923 Ford T Bucket Replica offered for $2250 in Oxnard, CA via craigslist. Tip from Sean S.
That750 Yamaha is an inline 4. They did make a V-Twin for their Virago's but I'm counting four carburetors all in a row on this one. Still might be fun even though I suspect that weighs a bunch more than a motorcycle, making it a little rough on its clutch. I'm wondering if its chain driven? no word on reverse, either. and the "radiator" shroud does not look like the place to apply backward force.